Took a trip out to Kakdadu National Park (again!) 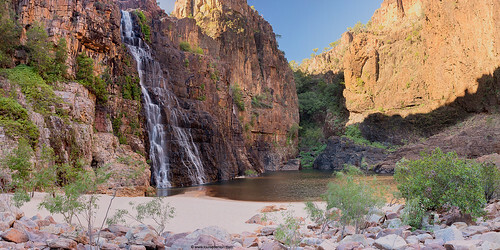 last week - the road to Twin Falls, one of the park's most spectacular waterfalls, had reopened again. 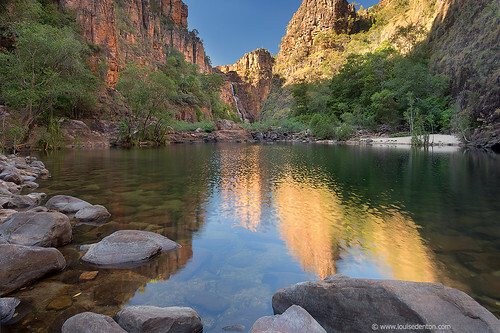 As I hadn't visited Twin Falls for a couple of years, I decided it was time to make another trip Kakadu. Every "escape" to the park, I wish there was more time! There is so much to explore! For my short three day visit, I managed to squeeze in photographing a couple of my favourite spots AND explore some new "hidden gems". As usual, there still wasn't enough time to do everything.... So there will definitely be another visit before the dry season is out! 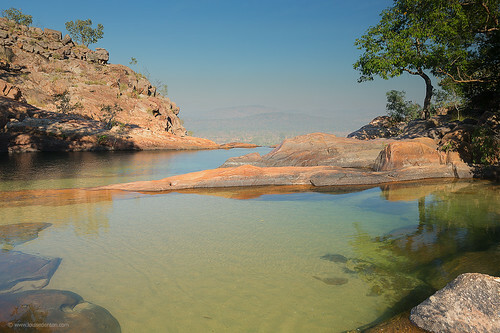 First up, we took a detour to a lesser known water hole named "rockhole". 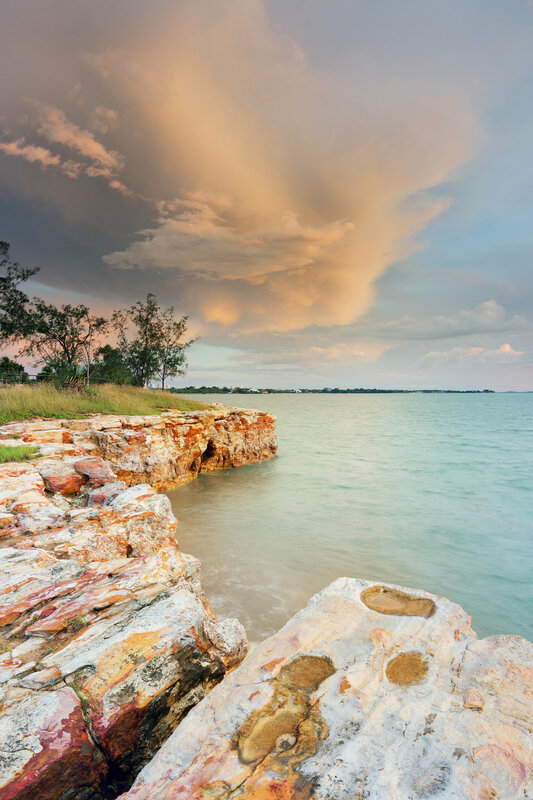 Previously known as Moline Rockhole, it is accessed via a short four-wheel drive track and short walk from near the Mary River roadhouse. We then completed the drive to Gunlom waterfall - at the southern end of the park. Accessed via Pine Creek, it takes probably around three hours or so to drive to the boundary of Kakadu park and then another one to two hours (with some 4WD parts) off the bitumen, on to the gravel. Gunlom has a great campground - flushing toilets and hot showers! 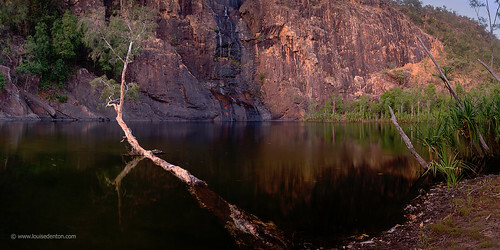 Arriving fairly late, we set up camp and I spent the sunset and played with the dusky glow at the bottom plunge pool. Who knows this tree! It has survived another wet season; Next morning we climbed the escarpment to view the awesome infinity pools at the top of Gunlom falls. 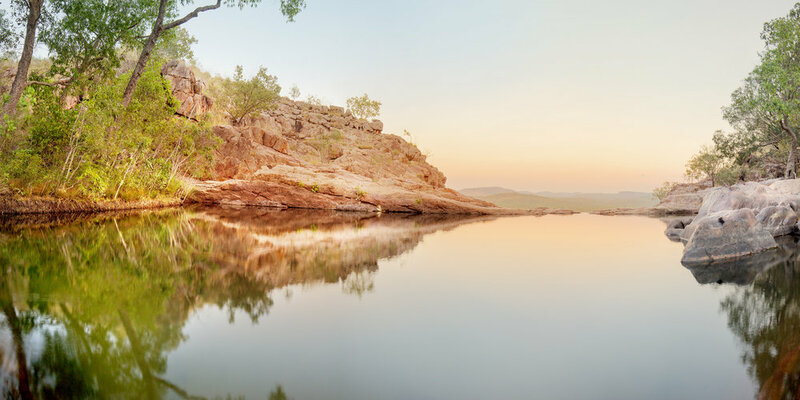 One of my favourite swimming spots in Kakadu, this place is magical! And then on to Twin Falls! We decided to take the first boat down the gorge, to avoid the afternoon crowds. We also took a quick drive to Jim Jim Falls, but it was dry.... 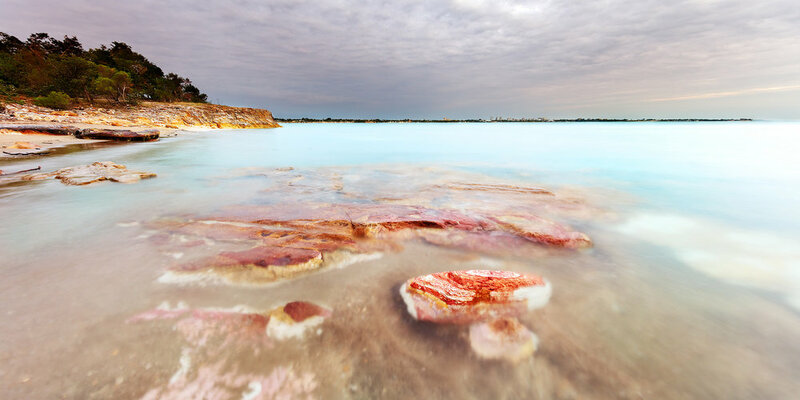 I had a dig through some panoramic files from my previous trip and managed to come up with this one! 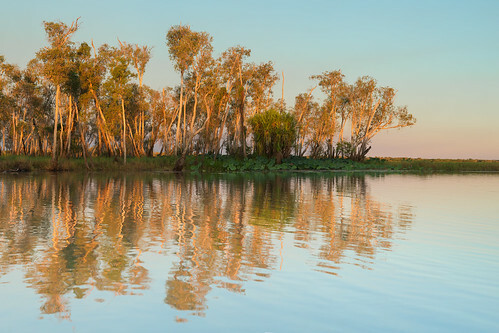 Do you have a favourite location in Kakadu? Share yours below!